I'm in the Pink today! Are we ready for Spring? I am hoping to see real camellias someday. You are so blessed to have these. They are like poetry. beautiful pink camellias. I have never seen a real one. Your are like slow motion, coming to life. I love that. as they are so beautiful. Hope you have a glorious weekend. 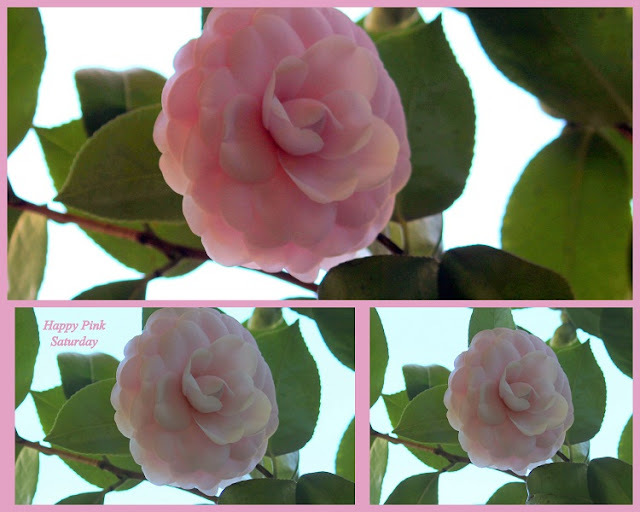 I love camellias and your feature bloom is beautiful! Nothing says southern to me more than camellias. Lovely photos! I see these beautiful flowers growing in my neighbor's yard. Beautiful photos! I was ready for Spring the day after New Year's--- lol. Luckily, I live where that's almost true! Such gorgeous photos. Wonderful to have you be a part of Seasonal Sundays. I can't wait until these beauties start to open up around here too! 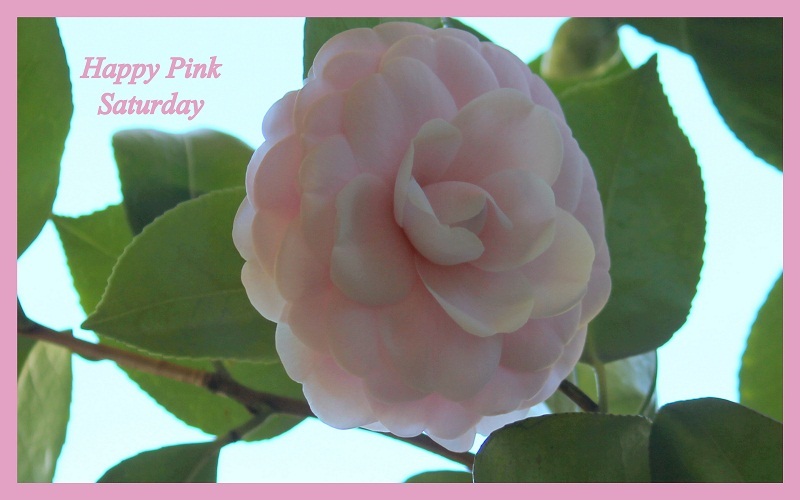 Beautiful pink camellias for Pink Saturday. We don't have them in my area, but I always love to see them in the South. Thanks for stopping back by my blog. I enjoy scrapbook and blogging but my scrapbooking has slowed down some with blogging and taking care of my grandsons two days a week. I enjoy working in Photostop with my images I am going to scrap or to make mosaics for my posts. I'll be back.